Close your eyes and breathe deeply and slowly for a few moments to relax and focus your mind. Now imagine/visualize a soft fuzzy beam of golden light slowly descending to you from above. Let it envelope you in its nicely warm, comforting glow. All of your muscles gently relax in response to this pleasant feeling. Feel the warm glow all around you. Breathe it in and feel it soothing and comforting you deep within. Notice the little gold and silver-white sparkles that appear within the glow from time to time. You feel calm, but not sleepy. Allow the light to slowly get brighter, but only as bright as is comfortable for you. See how the gold and silver sparkles now shimmer beautifully all around you, as if you exist within a wonderful shower of loving, irridescent cosmic light energy. Breathe deeply and know you a powerful spiritual being. Shift your attention now to a reddish glow at the base of your spine. You can see this light emanating from the front and sides of your body as well, in the same area. It is your first chakra, your very ownl Red Life Force Bunny. 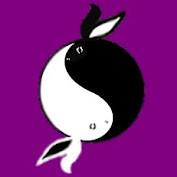 How does this energy Bunny appear to you? Is it healthy and strong or lacking in vitality? Is it happy or sad? Visualize gently petting and stroking the Bunny, letting it know you care for it. 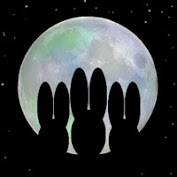 As you do, notice that sparkles of light drift from your hands and are absorbed into the Chakra Bunny's energy. These sparkles nourish, heal and protect. 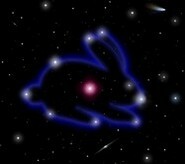 The Bunny's light now glows a vibrant energetic red outward just a few inches from it. If this energy feels in any way too intense for you, simply stroke the Bunny softly and and tell it, "Shhhh, calm, little Rabbit." Your first Chakra Bunny is now happy, hoppy and healthy. 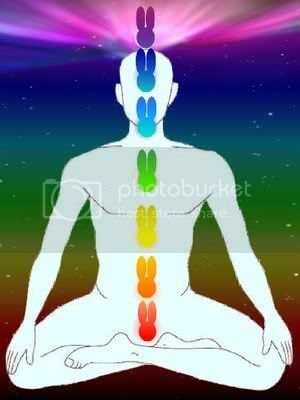 Repeat this process with each of the 6 remaining Chakra Bunnies. Find their glow, observe their energy for a moment, pet and stroke them, allowing the light sparkles to nourish, heal them and let them know they're cared for. Each Bunny will then glow more vibrantly, just a few inches around its outer "fur". If necessary, calm the Bunny gently so that you are comfortable with its energy level. Know that the Bunny is healthy and hoppy. Orange, the Creative Energy Bunny, just below the navel. Yellow, the Solar Plexus Energy Bunny, above the navel. Green, the Heart Chakra Bunny, at the chest. Blue, the Throat Chakra Bunny, at the neck. Deep Blue/Indigo, the 3rd Eye Bunny, at the forehead. Violet/Purple, the Crown Bunny, at the top of the head. 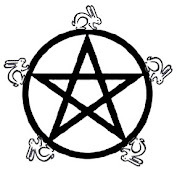 Now you are filled with a rainbow of healthy little Chakra Bunnies. These Bunnies are key points in your energy system. They work together amongst themselves and with you as a whole to keep you healthy and hoppy, as well as awake spiritually so that you may achieve your life's purpose. See your whole body now, with its rainbow of light. The lights should be glowing, but not overly bright. You want them healthy, but not shining like 200 watt bulbs in 60 watt sockets! If necessary, turn them down a bit with an imaginary dimmer switch to a level that feels comfortable and allows you to still feel calm.